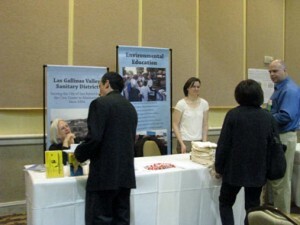 The Las Gallinas Valley Sanitary District (LGVSD) provides education to the public on environmental and public health issues related to sanitary sewers and wastewater treatment. Many events, outreach activities and school programs are accomplished through our participation on the Public Education Committee which is comprised of five Marin County wastewater agencies. The other agencies in the group are Central Marin Sanitation Agency (CMSA), Novato Sanitary District (NSD), Sewerage Agency of Southern Marin (SASM), and Sausalito Marin City Sanitation District (SMCSD).